Sage Moonblood Stallone, Sylvester Stallone’ son was found dead yesterday at his Los Angeles apartment. Fresh reports say prescription pills were found at the scene of the 36-year-old’s apartment where he was discovered. The filmmaker is understood to have overdosed on pills and coroner’s officials are investigating if it was accidental or suicide, according to TMZ. A source told RadarOnline that medics arrived on the scene at 3:05 p.m. this afternoon and spent around 25 minutes trying to revive Sage Moonblood Stallone before his death was pronounced at the scene. His body was taken straight to the coroner’s office – and the insider claims no suicide note was found. “I suspect he had been dead for quite a while when he was discovered,” the source told the website. “Usually medics will be at the scene for around forty-five minutes but they were out of there within half an hour. A 911 call was placed shortly before 3:00 p.m. and the caller said Sage wasn’t breathing and indicated it could be a drug overdose, Radar reports. An autopsy is scheduled to take place in the next 48 hours. Shortly after news of Sage’s death, a spokesman released a statement on behalf of Sylvester Stallone, 66, who was at the Comic Con film convention in San Diego yesterday. “Sylvester Stallone is devastated and grief-stricken over the sudden loss of his son,” the actor’s spokesperson Michelle Bega said in the statement. Police said they found the younger Stallone in the home while responding to a “welfare check”, however Sages’ lawyer George Braunstein said he was found by a housekeeper. Friends and acquaintances had become concerned because they hadn’t heard from Sage in the past day. George Braunstein said the death came as a shock, telling the New York Post yesterday afternoon: “He was in good spirits, and working on all kinds of projects. Sage Moonblood Stallone was the oldest of Sylvester Stallone’s children and co-starred with his father in two films. He was the first of two sons Sylvester Stallone had with first wife Sasha Czack. He made his acting debut in 1990’s Rocky V – he played Sylvester Stallone’s onscreen son – and also appeared with his father in 1996’s Daylight. Also in 1996, Sage Stallone and veteran film editor Bob Murawski co-founded Grindhouse Releasing, a company dedicated to preserving and promoting the B-movies and exploitation films of the 1970s and 80s. He also directed the 2006 short Vic, which screened at the Palm Springs Film Festival. 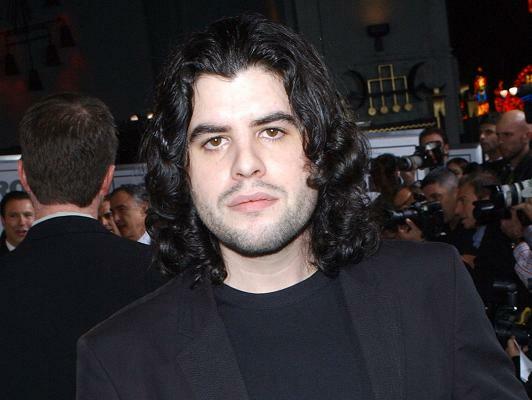 George Braunstein said Sage Stallone had frequent requests to work on films. “He was a full of life filmmaker with his whole future ahead of him,” he said. “He was just very up and enthusiastic and positive. “I think it was probably some sort of accident,” he said of the death. George Braunstein added that Sage Stallone greatly admired his father but was working hard to make his own name in the film industry. “He was very proud of his father and proud to be his father’s son,” he said. Sylvester Stallone’s split from Sage’s mother Sasha Czack in 1985 after 11 years together. They also have another son Seargeoh, 32, who is autistic. He wed model and actress Brigitte Nielsen in the following December in Beverly Hills but they split just two years later in a very public divorce. He married third wife, Jennifer Flavin, in 1997 after an eight-year on-again, off-again relationship and they have three daughters: Sophia Rose, 15, Sistine Rose, 14, and Scarlet Rose, 10. Sage Stallone, who was raised by his mother following his parents’ divorce, felt distant from his father growing up, a theme which hit home as they were filming Rocky V together. “When I was screaming, <<You never spent time with me! You never spent time with my mother!>> – that was true,” he told People magazine in 1996. But it proved a turning point for the father and son, who went on to form a close bond and they acted again together in the 1996 film Daylight. “Between takes, Sly and Sage would roll around in the dirt like two puppies,” the director Rob Cohen observed at the time. Sage Stallone certainly felt the pressure of growing up with such a famous father and would worry that he would never match his success. “I tell him, <<As long as you give it your best, that’s all that matters>>,” his mother Sasha said in that same year. Sage Stallone went on to pursue a career behind the camera and shunned the wild Hollywood party scene, preferring to watch horror zombie films instead. “People call me a hermit,” he said while promoting the film.